The Grey, Bruce, Dufferin & Simcoe Postal History Study Group was founded in 1998 to research the postal institutions of the Georgian Bay region of Ontario. Starting with Issue 45 we will expand our territory to include all areas of Georgian Bay. We emphasize the social aspect of the local post offices, but study all facets of postal history in the counties. 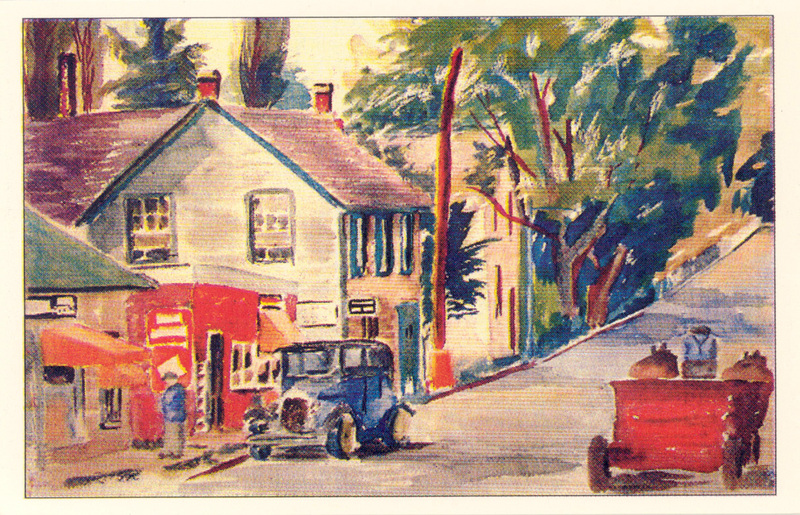 For most settlements with post offices it is a journey back in time. In many of our counties only a handful of post offices remain. In the early years the quarterly publication was simply The GBD&S Newsletter, however beginning with issue 35 our newsletter name was changed to The Georgian Courier. We endeavour to publish a quarterly newsletter. It is in full-colour starting with Issue 44. All issues of the newsletter may also be downloaded as a pdf file. Members may subscribe to either the regular printed version at $15.00 for four b/w issues mailed to your address; a premium subscription at $20.00 for four full-coloured printed issues mailed to your address; or the electronic version at $7.00 for four issues emailed to you or downloaded from the PHSC website. Subscribers will be notified when a new version is online. If you are philatelically interested in this area of Ontario we encourage you to explore with us. For further information contact editor Gus Knierim, jknierim@bmts.com. 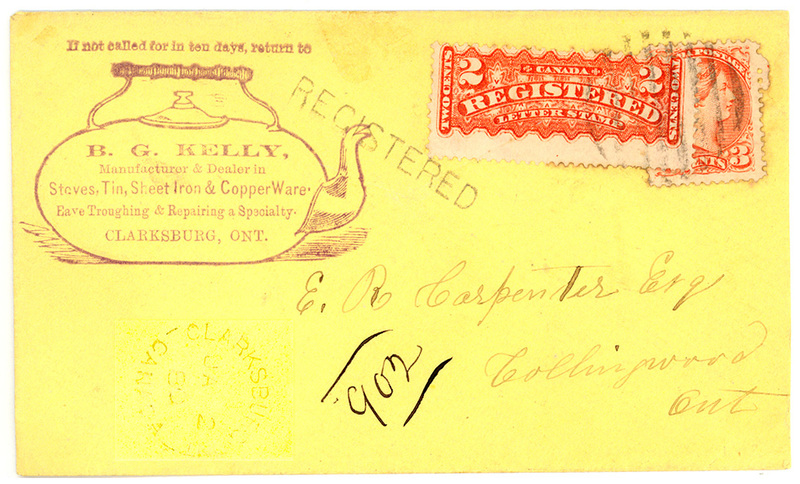 A beautiful rubber-stamped corner card illustrates this early advertising cover posted at Clarksburg, Jan 2, 1880. Ready to post a letter at the Clarksburg P.O. (far left), c. 1930s.